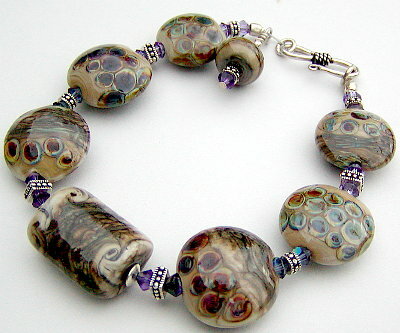 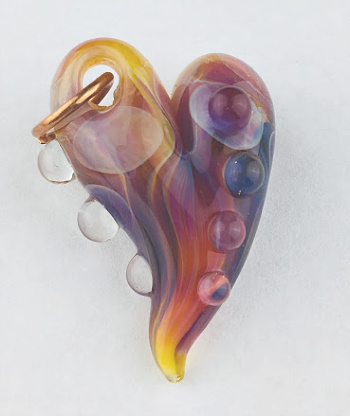 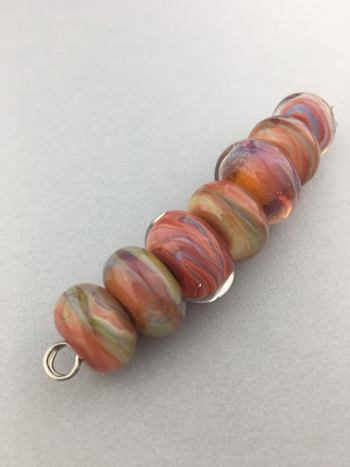 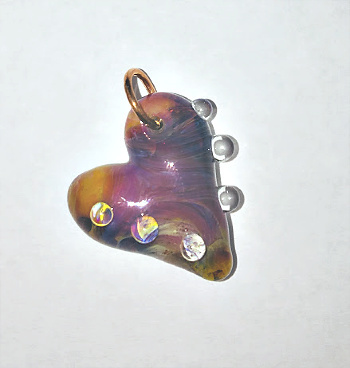 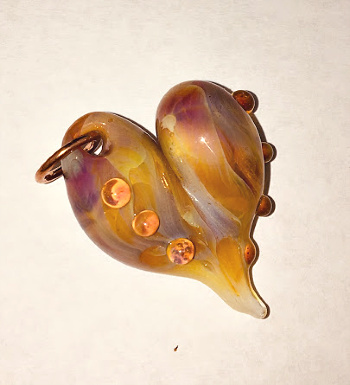 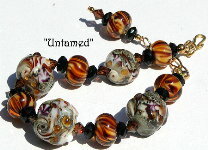 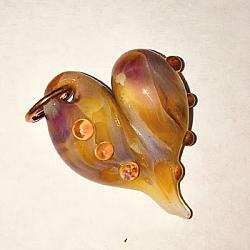 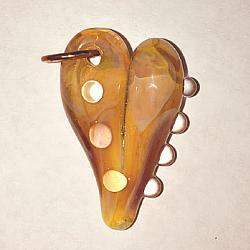 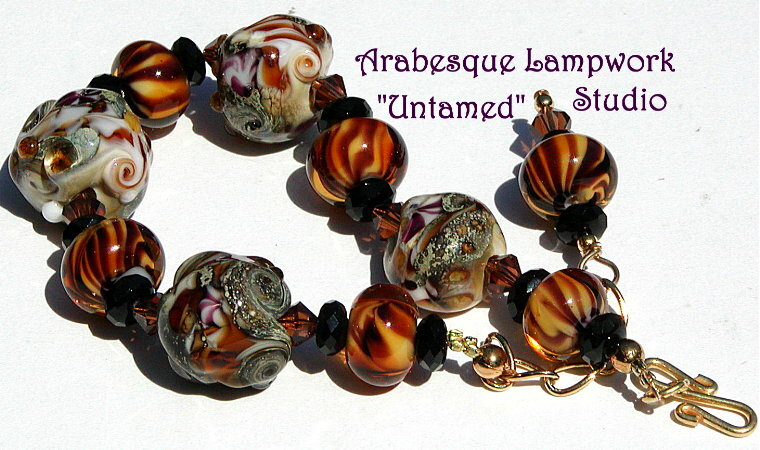 Deep amber purples blended over white with tactile dots of dark amber circling the heart.Â Complete with jump ring for hanging on a chain or silken cord. 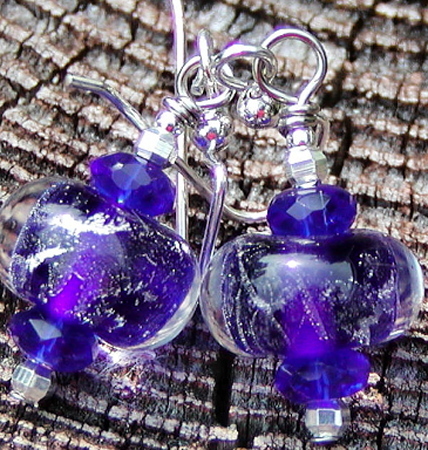 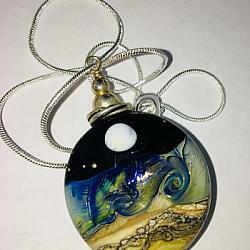 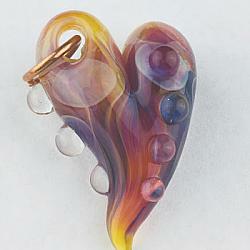 Hand formed from borosilicate glass...one of a kind. 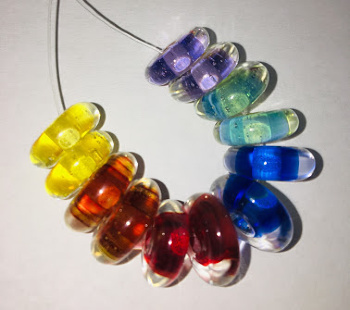 Yummy set of rainbow colored boro discs. 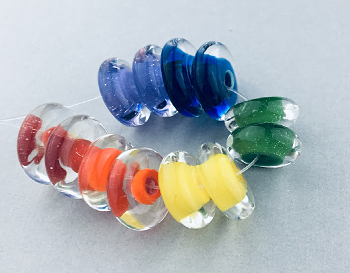 12 discs, 2 of each color...red, orange, yellow, green, blue and deep lavender. 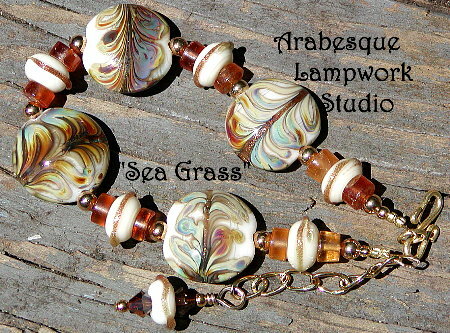 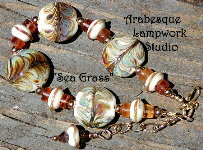 Set of 3 borosilicate glass beads...beautiful forest green, teals, a touch of amber and veins of sparkling silvery blue. 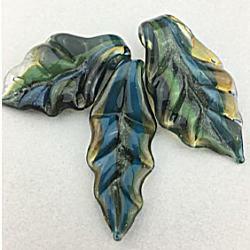 Dramatic colored handmade one of a kind hand formed leaves. 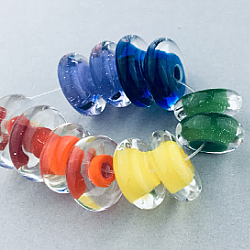 Sparkling transparent borosilicate glass discs. 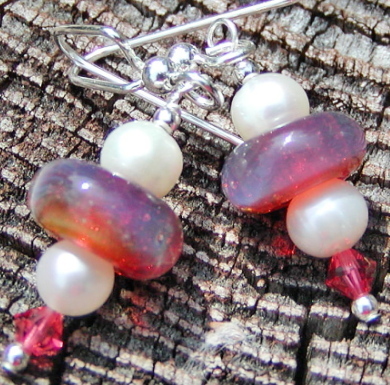 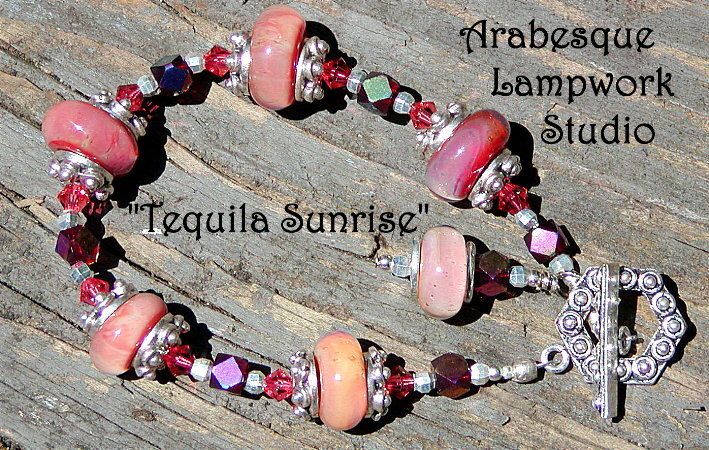 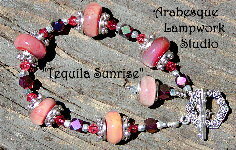 Yummy candy colors...lemon, orange, cherry, blueberry, lime and grape. 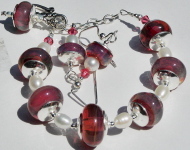 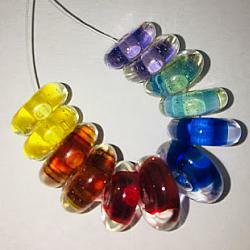 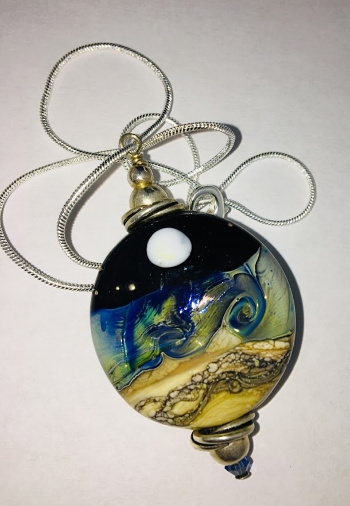 Great to dress up a bright focal bead in a necklace or I love the way they feel all strung together on a choker or bracelet, just add some silver or pewter accents and your good to go. 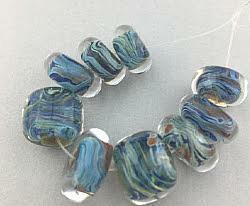 One dozen, 12, 5x14 mm to 5x16mm boro glass disc beads. 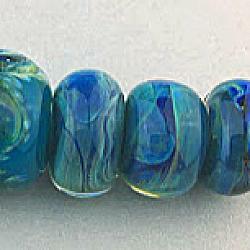 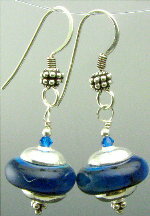 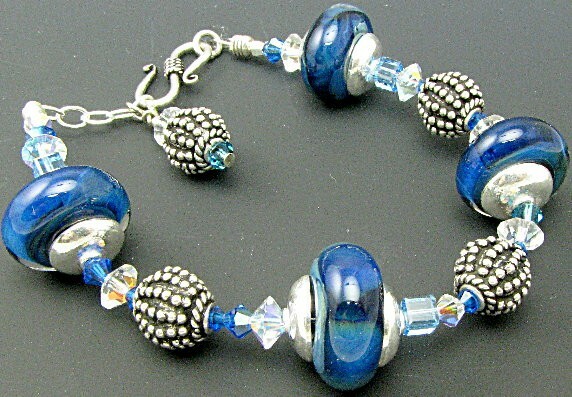 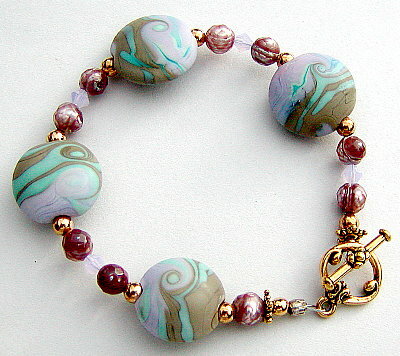 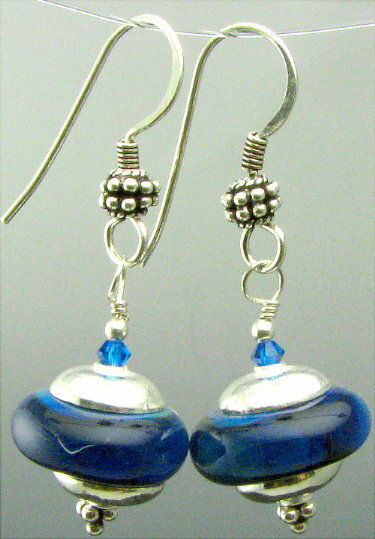 Dreamy blue teal set of 7 borosilicate glass beads. 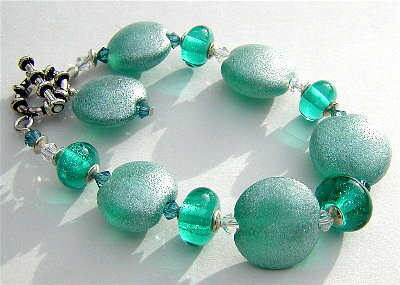 This teal color looks beautiful with silver accents. 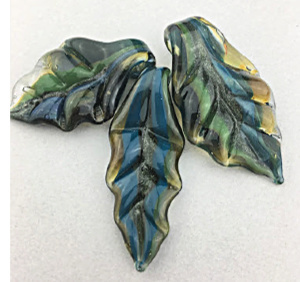 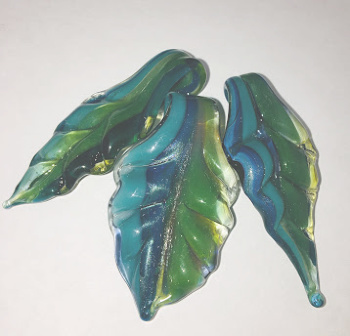 Set of 3 Boro leaves...beautiful dark green and transparent amber with blue sparkle accents...great as a hanging set on a cord or great accents for other creations. 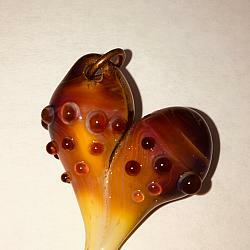 Handformed in the flame from borosilicate glass, each leaf an individual piece of art. 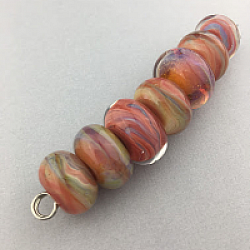 sizes range from 8x12mm to 11x14mm.